The game will not work on XP and higher without user-made fixes for general issues (color corruption, game not loading, etc.). The game may not work on Windows Vista and later - even with the aforementioned user-made fixes - unless DXGL is used (see Issues fixed). 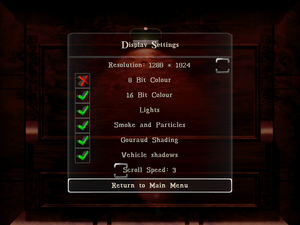 Resolution is not unified - strategic and tactical maps display in the resolution chosen in Graphics Settings, while videos, menus, and loading screens always display at 640x480. 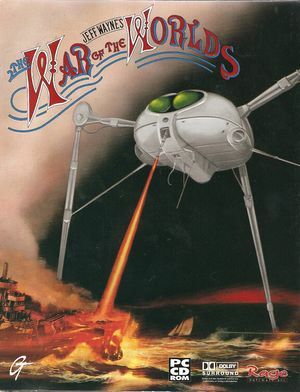 Official forum for all video game adaptations of Jeff Wayne's Musical Version of the War of the Worlds. 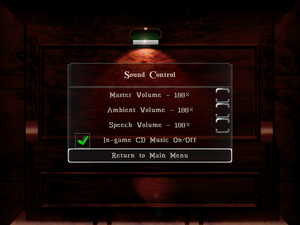 All menu screens, including the graphics and audio settings screens, are unique for both the Human and Martian factions; however, they both have exactly the same wording, format, and settings, so the difference is merely superficial. Under XP and higher, the game may be unable to read the CD Audio tracks on the Human (Disc 1/Installation Disc) and Martian (Disc 2) CDs, causing it to think there is no CD-ROM inserted into the disc drive. Follow the instructions found in this community-made instruction manual. In the event the link to the patched _inmm.dll found in Step 2 of the instruction manual no longer works, you can still download it from PCGamingWiki. Under Vista and higher, the game will crash as soon as the strategic map is loaded due to DirectDraw features the game relies upon being deprecated. Once installed, open dxglcfg.exe, DXGL's config application. Run the game as normal. This page was last edited on 1 April 2019, at 00:17.